Allure: What is it - Who's got it? Allure: What is it? Who's got it? Signed and dated l.r., synthetic polymer paint "V.V 78". Signed and dated u.r. verso, synthetic polymer paint ".../ VARVARESSOS/ 78". 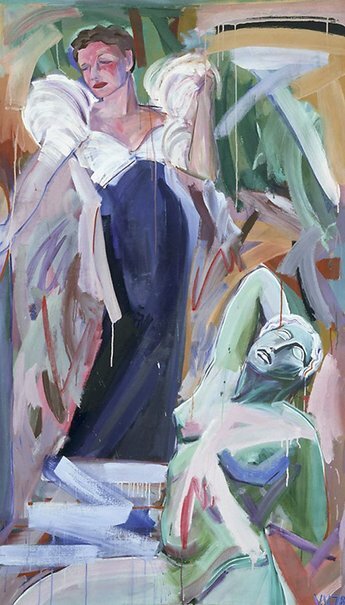 Review: works by women from the permanent collection of the Art Gallery of New South Wales , "Women Artists in the Contemporary Collection", Victoria Lynn, p13-15, Sydney, 1995, 14, 27.